The Spaniard has had a short yet eventful time in Indian football but through all the trials and tribulations he continues to grow places with the Blues. 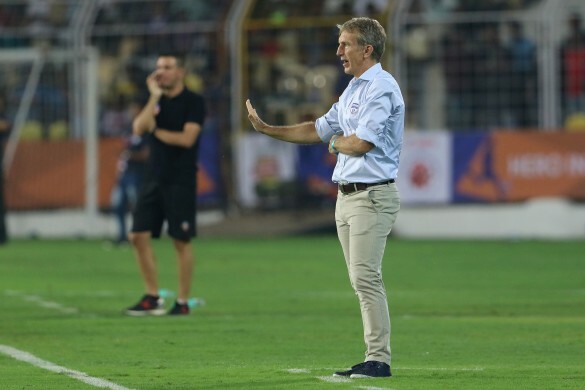 Bengaluru FC’s remarkable debut in the Hero Indian Super League has been masterminded by coach Albert Roca. But had not things not gone in his favour towards the end of last season, he wouldn’t have been occupying that seat in the first place. Roca was brought in by Bengaluru FC in July 2016 and the immediate task was to ensure the side advanced to the knockout stages of the AFC Cup. They did, scored a famous win over Malaysia’s reigning champions Johor Darul Ta’zim but then faltered at the final juncture against Al Quwa Al Jawiya. 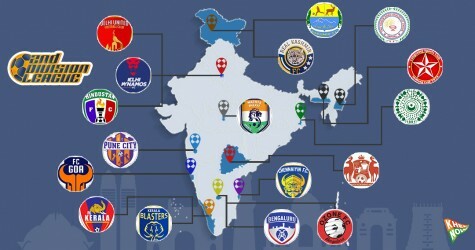 I-League was next. As expected, they started strongly with three wins, but it was followed by a seven-match winless run which deterred their fight for silverware. This included being trounced 3-1 by East Bengal in the comforts of their home soil. The club did pick up form late in the season which saw them win their final four matches to finish fourth on the table. This was certainly an underachievement for a club of Bengaluru’s stature which had, on paper, the highest budget. Soon there were whispers that Roca would be shown the door at the end of the season. The Federation Cup was supposed to be his last assignment. In the Federation Cup group stages, Bengaluru only scraped past before eventually going on to win the title in extra time against Mohun Bagan. The title assured them of a berth in the AFC Cup playoffs and worked in the favour of Roca as the club did a U-turn by offering him an extension for another year. And what a year it has been for Roca so far. Bengaluru FC have been utterly dominant in the ISL, garnering a record 40 points. They have defeated every club in the group stages and have looked comfortable in most of their matches. Their winning percentage of 72.2 percent is the best ever in the 22-year-old history of Indian football’s top tier. All this is certainly down to Roca, who handpicked his team. In the last four seasons, Bengaluru never had a foreign top scorer. Roca identified the club’s weakness and their over-reliance on Sunil Chhetri. Hence, he decided to go all out for Miku and made him the highest-paid foreigner in the league. The Venezuelan has also repaid the faith shown by Roca by scoring 14 goals. It must be noted that last year, Roca didn’t have a plan B. They started with a four-man defence before moving to three at the back. Their ‘pass-and-move’ brand of football was considered slow and not effective against teams who would sit back. However, this season in the ISL, there have been matches where they have been second best in terms of possession, like against NorthEast United at home. But Roca relied on his team’s quick counterattack to sting the opposition after soaking up the pressure. From starting with one foreigner at the back to opting to field Juanan and John Johnson in defence, the team has been versatile in their choice of tactics. In February, the club played seven matches in all competitions and were victorious on six occasions. In fact, going into the playoffs, they are unbeaten in their last 12 games. It isn’t that Roca hasn’t chopped and changed his players during the frantic schedule, but what’s worth highlighting is that the performance levels haven’t dipped for which Roca deserves all the plaudits.